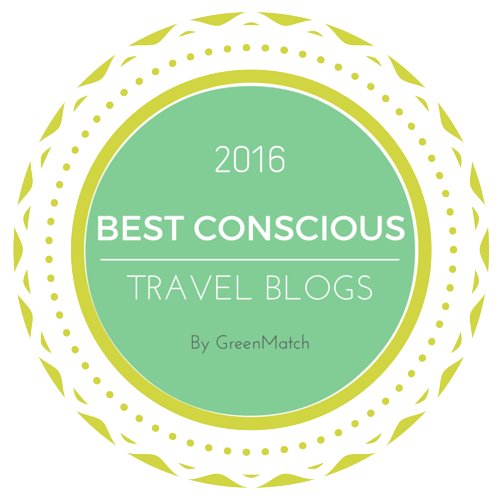 I have a confession: I have ulterior motives in writing this blog. Not only is it a place to share recipes, it is also the perfect means of dropping hints about things I’d like. My own public wishlist, if you will. It didn’t start out like that – I innocently mentioned when I made carrot cake that I didn’t have any mixed spice and, lo, there was a little jar in my next care package from home. I said how much I wanted The Hummingbird Bakery Cake Days after making cocktail cupcakes at a baking class, and mere days later I was flicking through my very own copy. Now I keep wondering how to make the most of this situation. Should I start trying to work in subtle references to other treats people might bestow on me? Casually suggest in a croissant-related post that a trip to Paris would be wonderful? Say how much better my life would be with a proper pie dish? I suppose I shouldn’t push my luck. For now at least I’m perfectly content with my new recipe book. It’s one of those rare books that makes me want to bake absolutely everything inside. 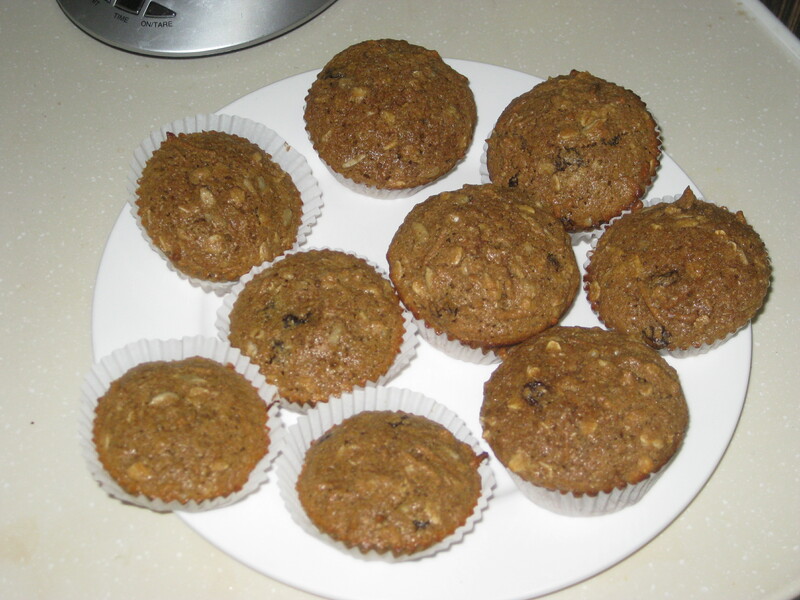 Choosing the first recipe to try was no mean feat, but I thought for the first pick I might as well go for the first meal of the day and opted for these breakfast bran muffins. They were very quick to make (I actually weighed out the ingredients the night before to save me faffing around in my befuddled morning state), smelled really zesty as they cooked, and provided a filling and satisfying start to the day. The texture was incredible too from the oats, All-Bran and crunchy sunflower seeds. 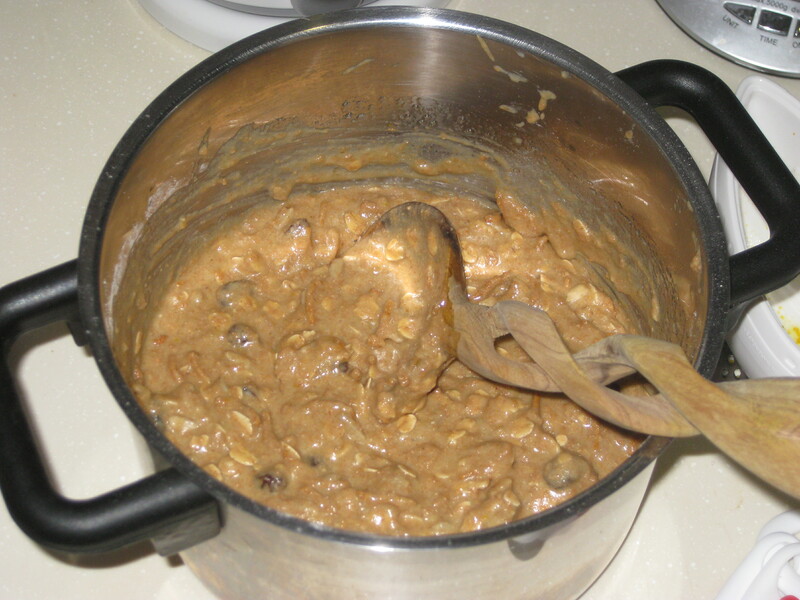 In fact, I increased the amount of seeds and raisins in the recipe and have doubled them in my version because they were my favourite aspect. I’ve already mentioned on here that breakfast is my favourite meal of the day, and having a treat breakfast really sets me up well for the day. Combined with the little baking buzz as well, it put me in a fantastic mood for the day ahead, despite it being a long and busy Friday. That’s right, they are magical mood-lifting cakes! 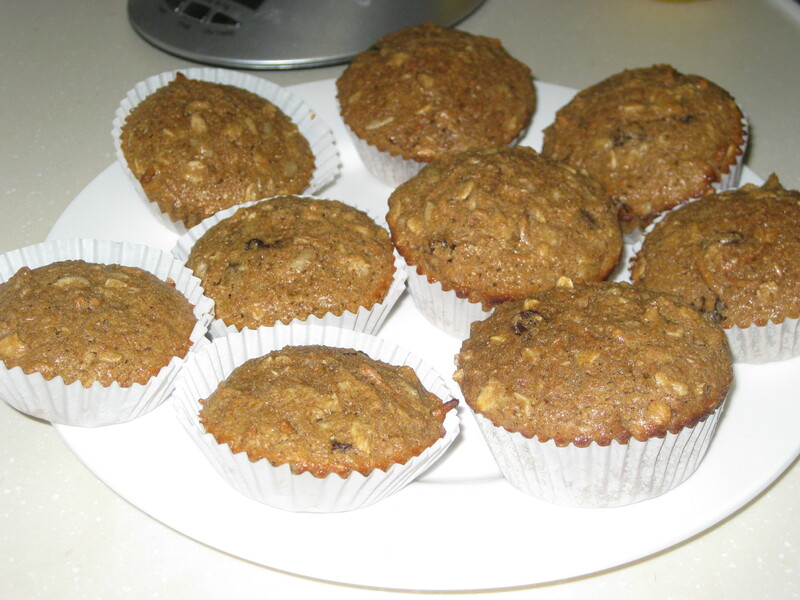 And they’ve got bran and oats in them: health, health, health! 1. Get up half an hour earlier than usual. 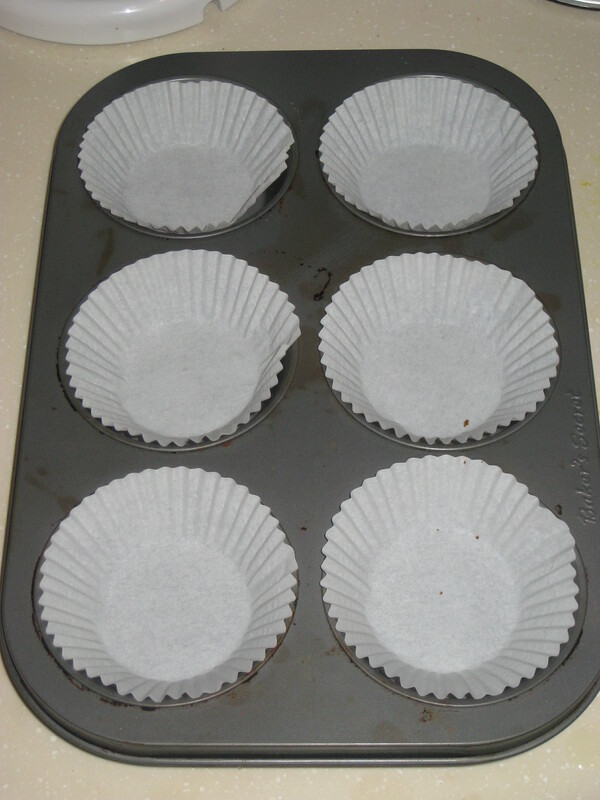 Preheat the oven to 170C and line a muffin tin with paper cases. 2. 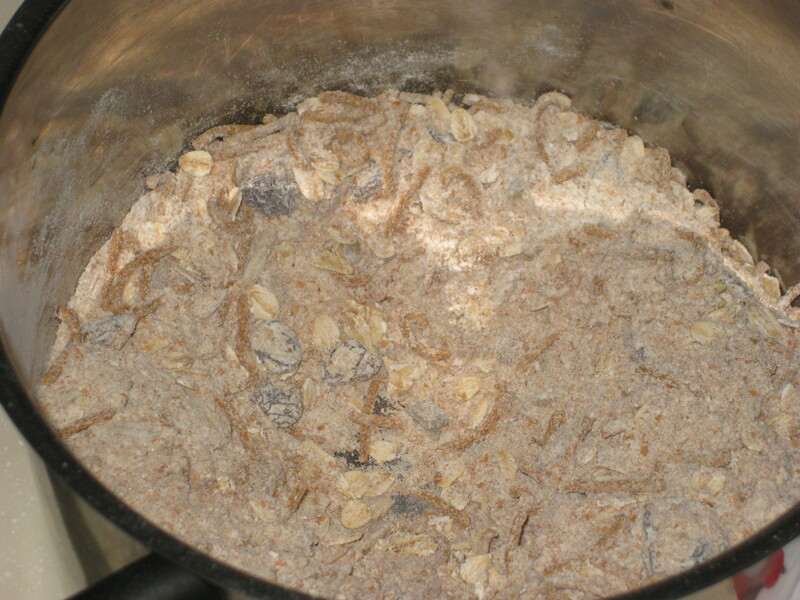 In a large bowl mix together the dry ingredients: flour, oats, All-Bran, orange zest, raisins, seeds, bicarbonate of soda, baking powder, salt and sugar. Make a well in the centre. 3. Mix together the eggs and milk, then pour into the well. Mix well, and when all the ingredients have come together stir in the melted butter. 4. 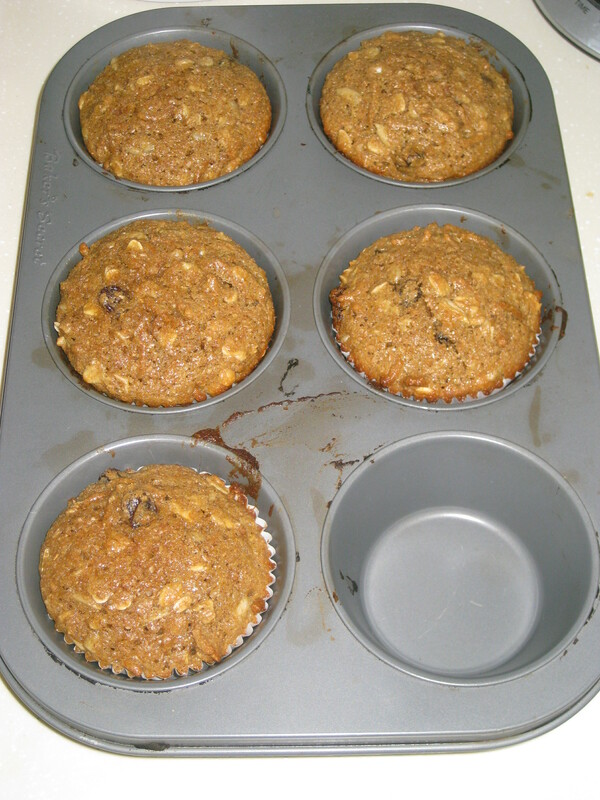 Pour the batter into the muffin cases, filling them 2/3 full. 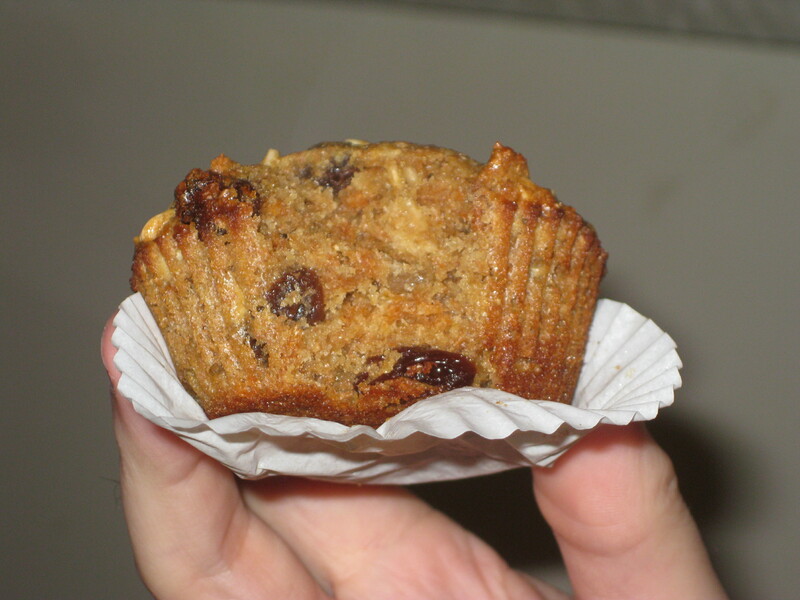 (Mine didn’t rise as much as I’d hoped, but I’m guessing this is because I used cupcake cases in a cupcake tin, rather than taller, more encouraging muffin cases.) Bake for 18 minutes, until golden brown and springy. Cool in the tin for a few minutes while you make a cup of tea, then serve them for breakfast. This entry was posted in Vegetarian Recipes. Bookmark the permalink. Oh dear, I hope it’s working better now!